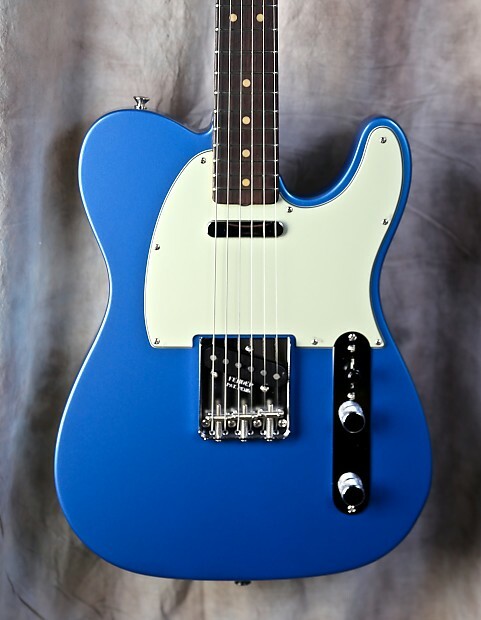 Stunning new arrival at J&E Guitars from the great folks at the Fender Custom Shop. A custom built 1964 reissue NOS Stratocaster in Nitro Lacquer Lake Placid Blue finish. Alder body sorted for lightweight, with a 5/4 quarter sawn Maple neck. Light tint. Mid 60's Oval "C" shaped neck with 9.5" radius and 6105 frets. Super dark chocolate AAA Rosewood fretboard, sorted for darkness. .820" at 1st fret, and .890 at 12th fret. Clay dots and bone nut. All vintage hardware with modern wiring. 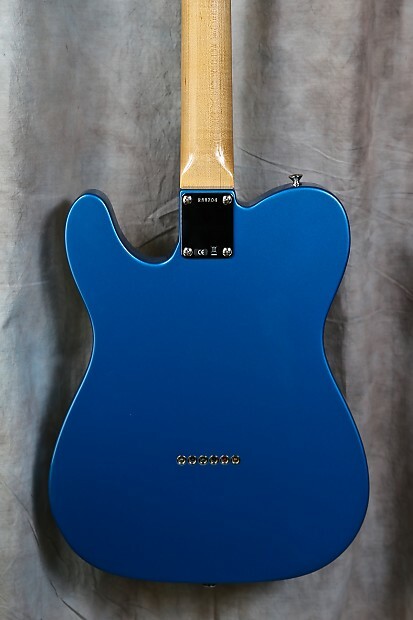 Twisted Tele Custom Shop pickups. Mint Green 3-ply pickguard. Super lightweight at 7.2 Lbs. Well balanced, and sounds great. Comes with Custom Shop case with Certificate of Authenticity, and all case candy. A stunning piece.